I often have prospective or current clients who ask me about what improvements they should make before preparing to list their home. This is truly their decision, but I love to help guide through the process. 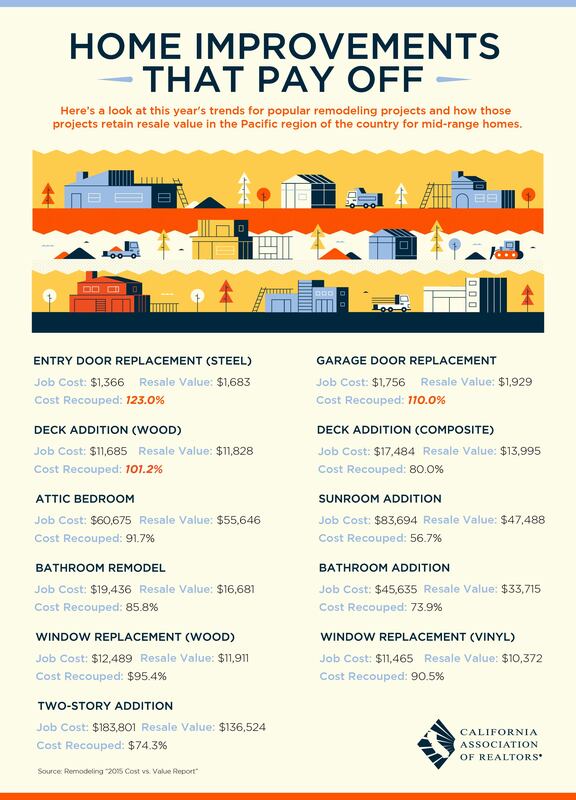 As a member of the California Association of Realtors, I just received access to this helpful infographic that I wanted to share, that helps to show the data behind the potential return on different home improvement projects. Personally, I find that the holidays are a great time to catch up on my goals and projects. If you need any help deciding how to prep your home for sale, I hope you find this useful, and of course, I am here if you need me.